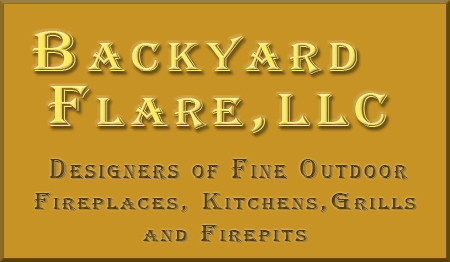 Specializing in custom DIY outdoor fireplace, kitchen and grill designs and plans for your outdoor paradise. Using our exclusive designs and plans, you can have the backyard of your dreams and save thousands. NEVER PAY CONTRACTOR PRICES AGAIN! 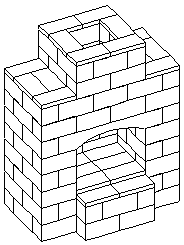 The letters CAD stand for computer-aided design. Some refer to CAD as computer-aided drafting as well. Backyard Flare uses CAD software to create construction drawings for our outdoor design concepts. By using CAD, Backyard Flare is able to provide you with professional detailed views of your outdoor project and the placement of each block in the rows as you build it. 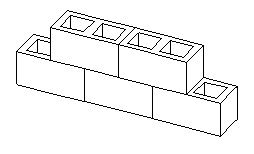 CAD makes it possible to draw with exact dimensions and measurements. This insures you will receive the finest outdoor design plan possible. These images show what Backyard Flare design plans look like. If you are interested in learning more about our drawings, please email us. Backyard Flare LLC © Copyright 2019 All rights reserved.